Random sweet moments with Rufus and Emily while at Sunday’s dachshund monthly meetup. Top photo: Rufus bask in the sun while keeping company with two young boys. We got a lot comments on Sunday that Rufus is so good with children to which I reply it’s simply exposure and regular socialization. I need to do the same with the girls now. Bottom photo: Emily looks up adoringly. I don’t believe Emily was feeling well Sunday and wanted to be held the whole time. Luckily she is feeling MUCH BETTER today (like back to normal) but can see it in her eyes. 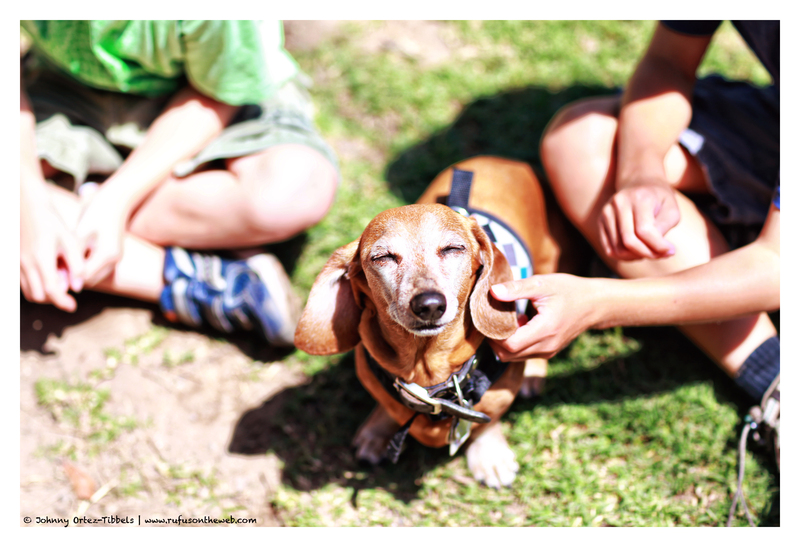 She’s saying, “Daddy, hold me.” Enjoy the photos, and have a great day dachshund friends. 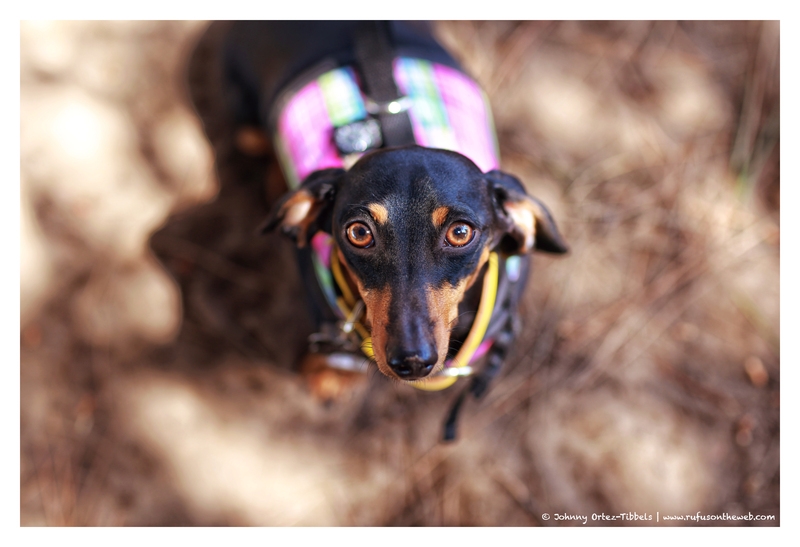 This entry was posted in Emily, Rufus and tagged #ADachshundsLife #HappyHounds, #black and tan dachshund, #dachshund, #red dachshund, #smooth dachshund, doxies. Bookmark the permalink. Rufus is enjoying himself. Sweet Emily I hope that she gets better soon.